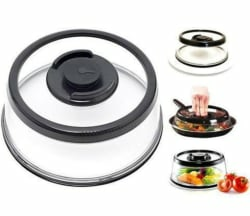 As one of its daily deals, 13 Deals offers two Press Dome 10" Instant Vacuum Food Sealers for $9.99 with free shipping. That's tied with our expired mention from yesterday and is the lowest price we could find by $6. They're 10" in diameter. Deal ends today. Note: Buy three 2-packs or more for $7.97 each.